There are a lot of skincare products out there, but none of them have done what Enza Essentials (website here) has done for my skin. I have honestly found my favorite everyday go to. My skin feels so nourished and soft after using this skincare line. I have to stop myself from touching my face so much because my skin feels so smooth. 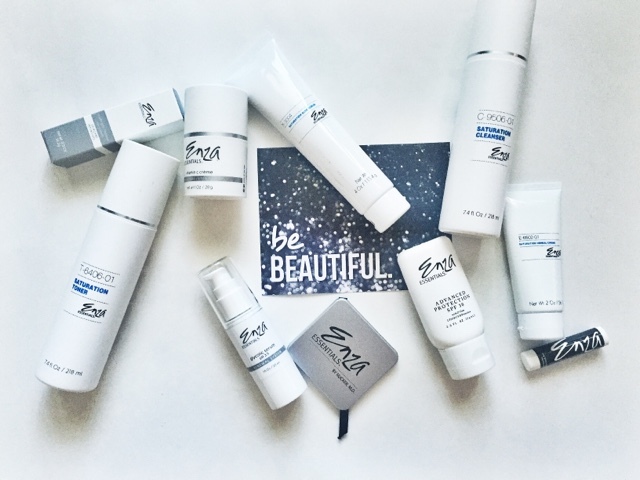 One thing that makes Enza Essentials great is that they customize their products to fit your particular skincare needs. You can take their customized skincare questionnaire (here) and based on your responses they organize what products are best for you. When you receive your skincare system it comes with step by step instructions on when to use each product, wether it is day or night. If you use these products as stated you will see your skin change for the better within days. 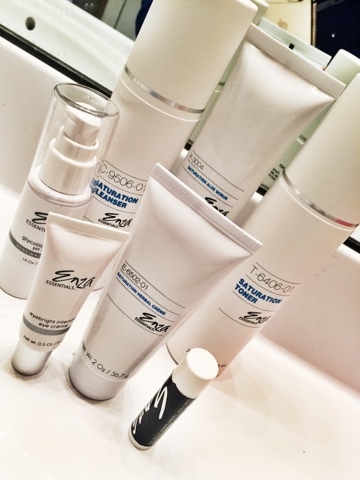 Enza Essentials has three different skincare systems to choose from. The Saturation System, Sustaining System, and the Extraction System. When you purchase a whole system you receive 20% off. Since I have dry skin the Saturation System was the best choice for me (found here). 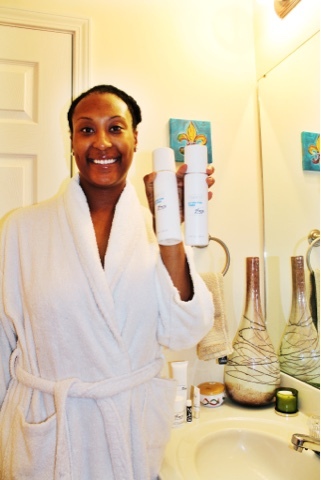 This system includes their Saturation Cleanser, Aloe Scrub, Toner, and Herbal Creme. Literally after just a couple of day I could tell a difference in my skin. It was brighter, dewy, smooth to the touch and more even. My skin has never looked better since I started using Enza Essentials. 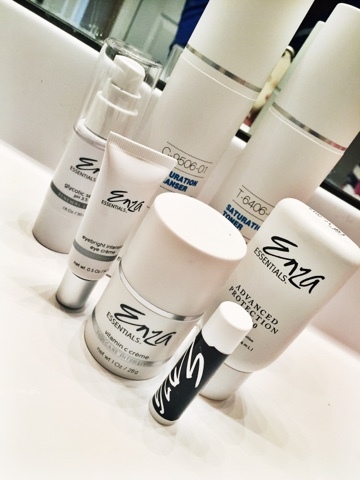 Enza has many other great skincare products that are not part of the systems but are definitely crucial to having great skin. I had the opportunity to try their Eyebright Intensive Eye Creme, Glycolic Serum, Vitamin C Creme, and their Advance Protection SPF 30. I cannot say enough good things about all these products. The Vitamin C Creme definitely provides that extra moisture you skin needs. The Eye Creme combats fine lines and wrinkles. Their SPF blocks against the suns rays and does not leave that chalky looking layer on your face as many other brands do. It blends in with your moisturizer. Many serums breakout my skin, but not Enza's Glycolic Serum it goes on smooth and helps hydrate and nourish. If you try Enza Essentials come back and tell me which products are your favorite.